I made sure to pack this sweatshirt for out adventures in New England and Chicago this week! I love that it can be dressed up or down! 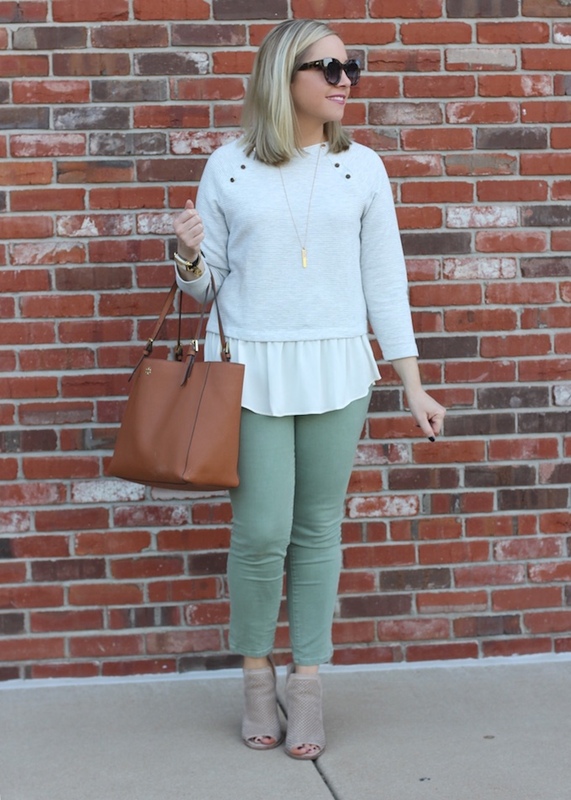 I paired it with green denim in this look, but packed leggings to wear with it at the airport! I love getting so many uses out an item! 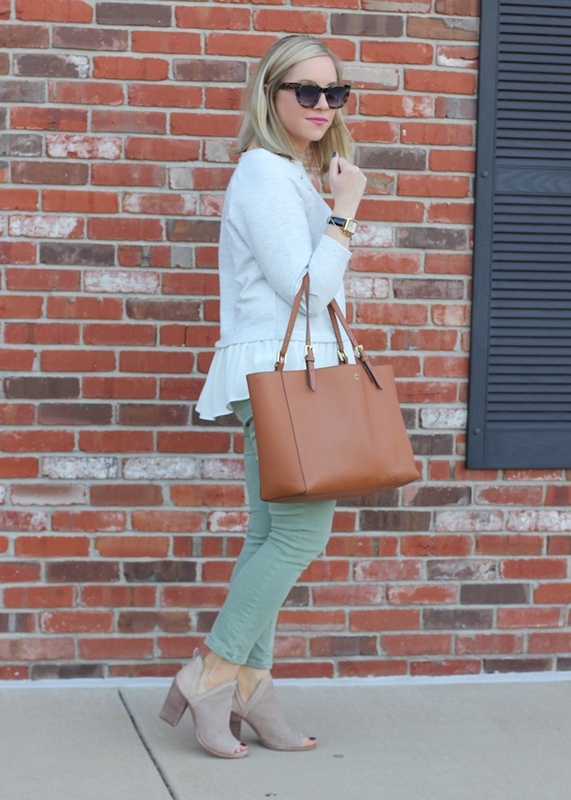 This is such a fun top---it's casual yet the ruffle adds such a fun detail! 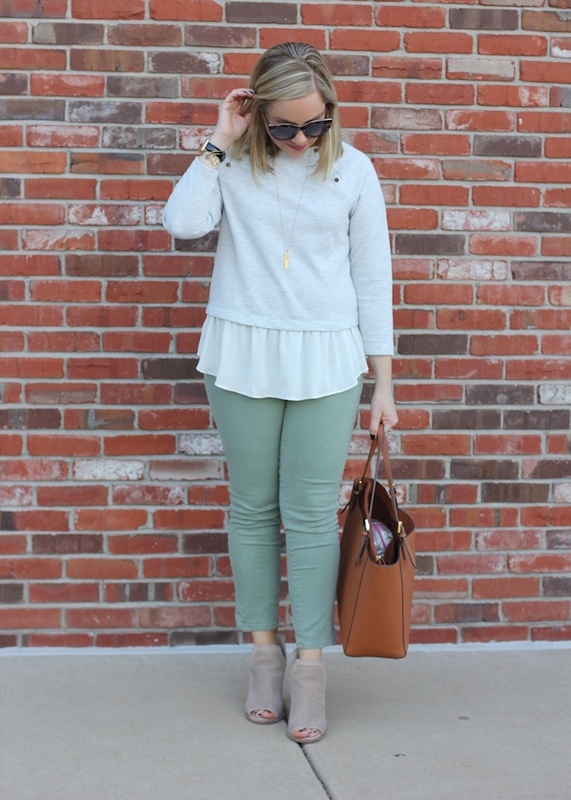 Love that top! I've had it in my shopping cart for a month. I think I need to pull the trigger on it!! 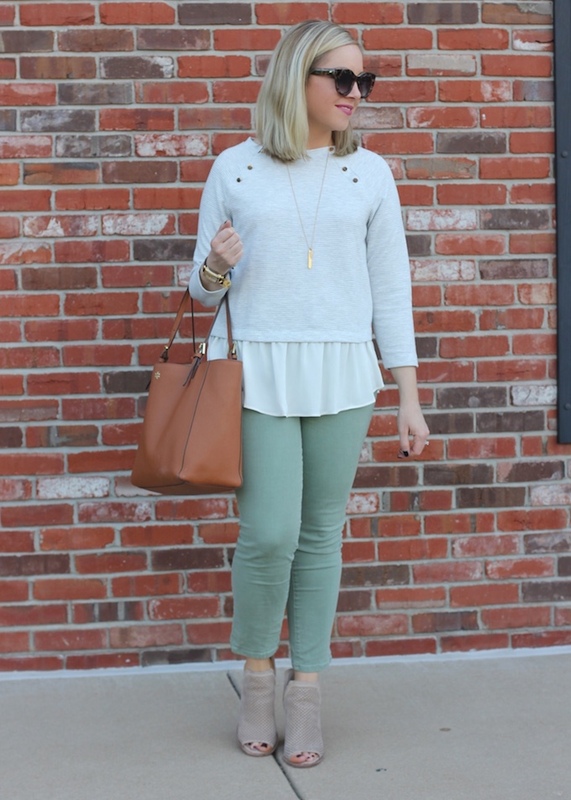 Ok this peplum tunic sweater situation is too cute! This is super chic look dear. 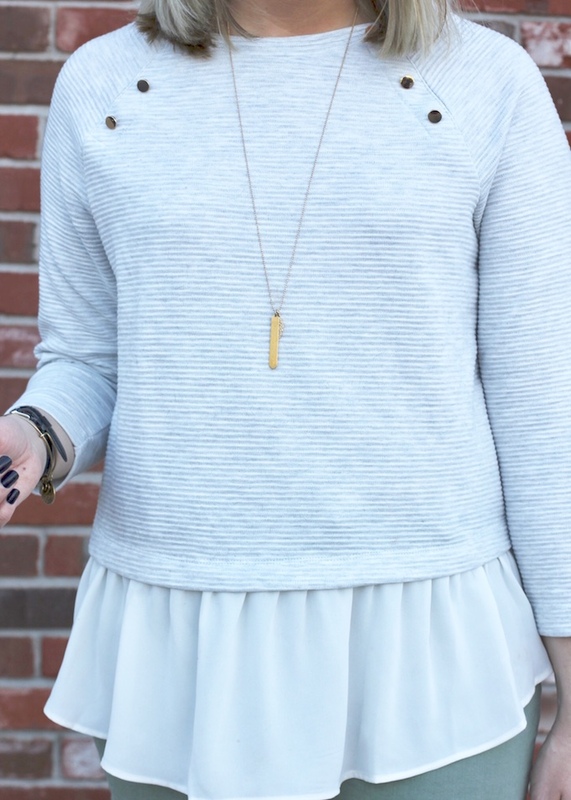 Love the sweater, really cute style. What a cute sweatshirt! I love the layered detail.